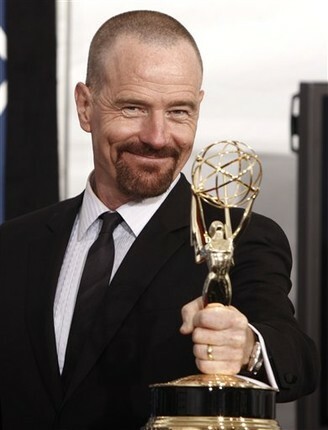 Bryan Cranston did it again at last night's 61st Annual Emmy Awards. This is his 2nd consecutive win for Best Drama Actor. Bryan is an extraordinary talent in any role he plays. He has starred in the TV shows Malcolm in The Middle, Seinfeld, How I Met Your Mother, and Breaking Bad. On the big screen he has starred in Saving Private Ryan, Little Miss Sunshine, Seeing Other People, That Thing You Do, and most recently in Love Ranch. He has done voiceover work for the Family Guy, American Dad and loved my story enough to add my audiobook to his credits. I'm honored that this busy man thought it worth his time to be a part of the Adventures with Kazmir the Flying Camel. Congratulations Valley Boy!